I love the look of a chambray shirt open over a crisp white tee. The look is stylish, and relaxed. 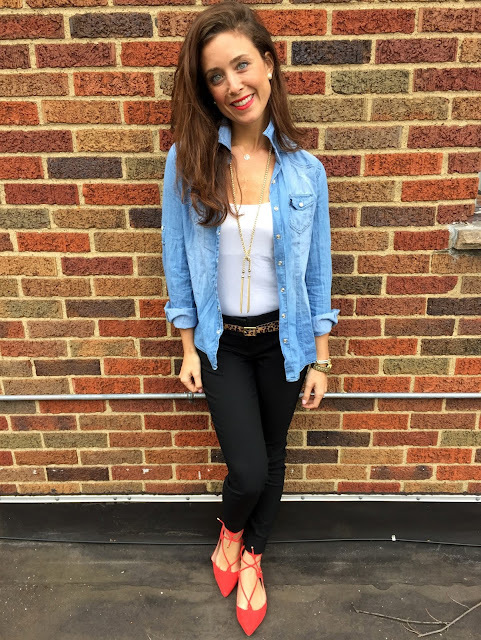 When wearing chambray, because it's such a great staple, I love to integrate fun necklaces, belts, and pops of color like my shoes above. 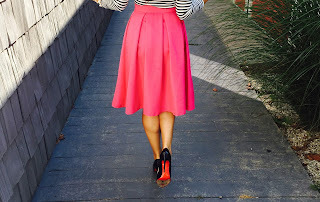 This is a great go-to comfy cute look that you don't have to over-think!